Month of July just started and what a better way to celebrate? With a Super Sale, of course! OPPO is bringing another nationwide promo to all their Ofans! 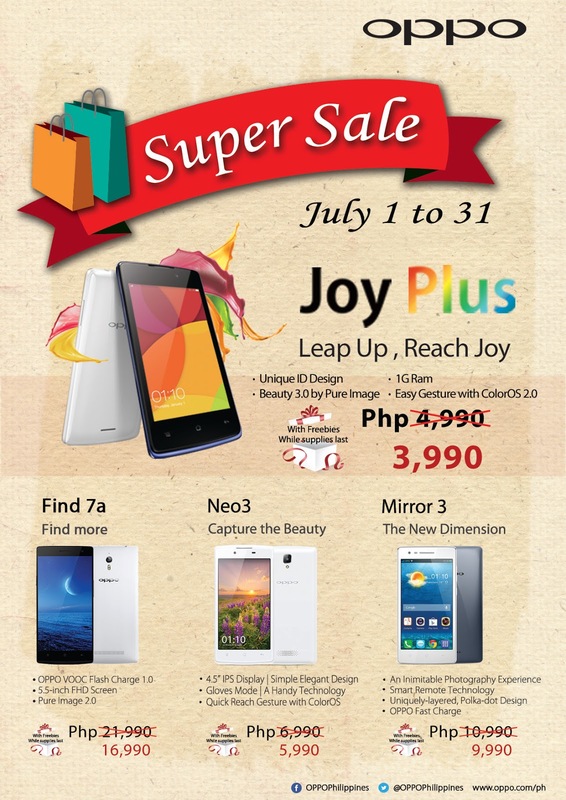 Following the three day Super Sale of the Neo 5, they are now offering the OPPO Joy Plus for just P3,990, down from its original price of P4,990, for the whole month of July.